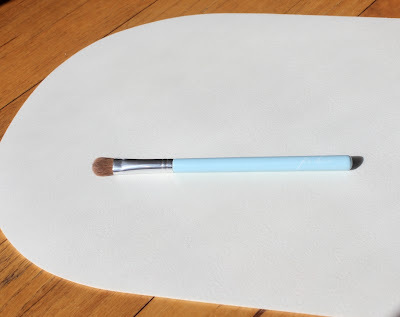 It's a good thing that Sue Devitt's brush handle are such a distinct baby blue color, because most days this Kolinsky Sable Eye Base brush is the first one I reach for as I start my eye makeup (as does Josephine, above, though her motives are somewhat different). 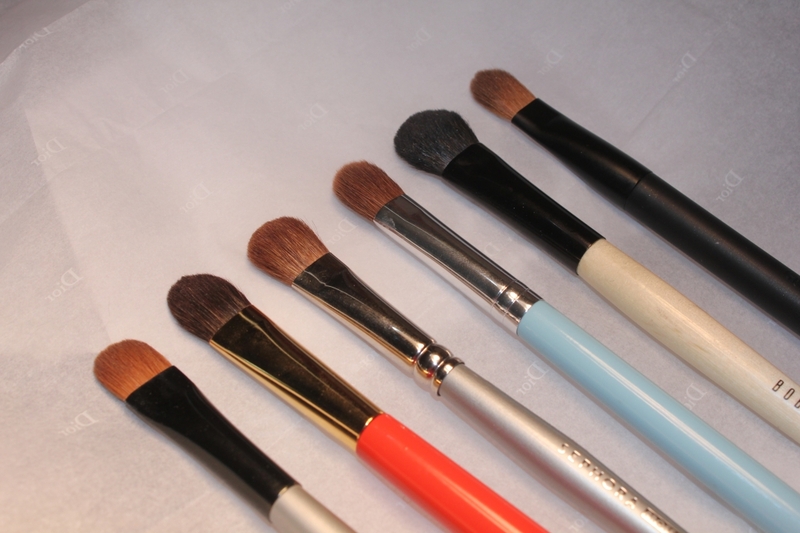 Sue Devitt's eye base brush is wide, soft and covers the lid and/or brow bone with an even coat of eye shadow. 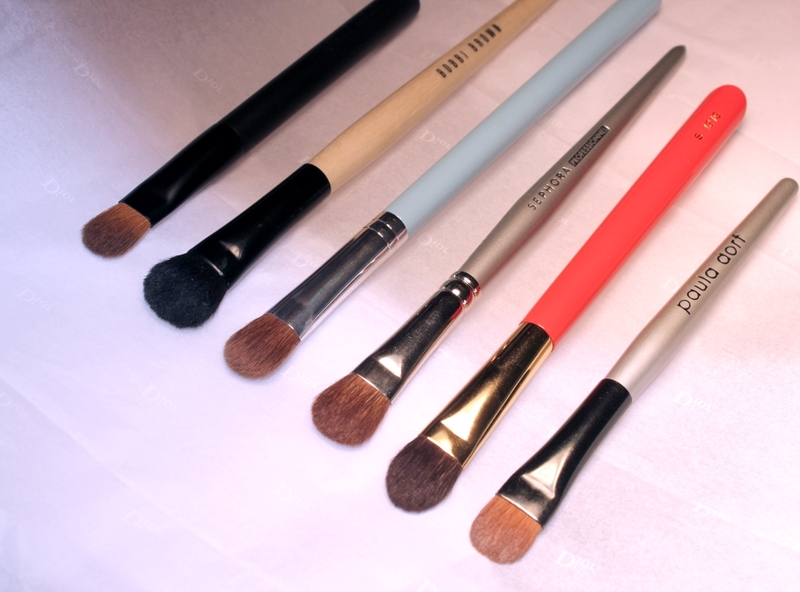 It feels luxurious and pampering against the delicate skin, and knowing the hair was collected without harming the Kolinsky sables (all Sue Devitt brushes are cruelty-free) makes it a guiltless pleasure. 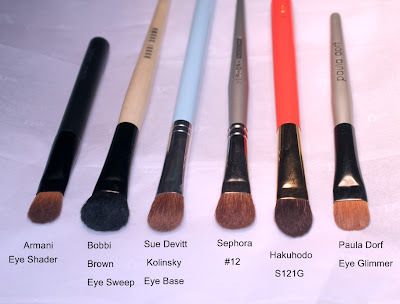 The Kolinsky Sable Eye Base brush is thicker than most eye brushes in my collection, except for the Bobbi Brown Eye Sweep brush which is used for a similar purpose. I use these two interchangeably, though I'd say I prefer Bobbi's for a sheer base and Sue's when I want a little more coverage. 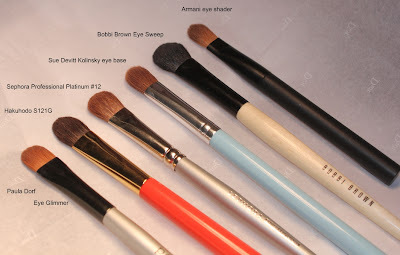 The flat shape of the eye base brush also lends itself for lay-down application and packing more color, something the Bobbi Brown brush was not designed to do. For comparison, Sephora Professional Large Shadow #12 (mine is older than the current Professional Platinum incarnation, but it's the same brush) is the closest in terms of size and width. It's not as soft (made of goat and pony mix, and yes, it sounds very very wrong) and has less give, but it's a decent brush for the price ($18). Hakuhodo S121G is even softer than Sue Devitt but thinner and tapered at the edge, making it pretty versatile. 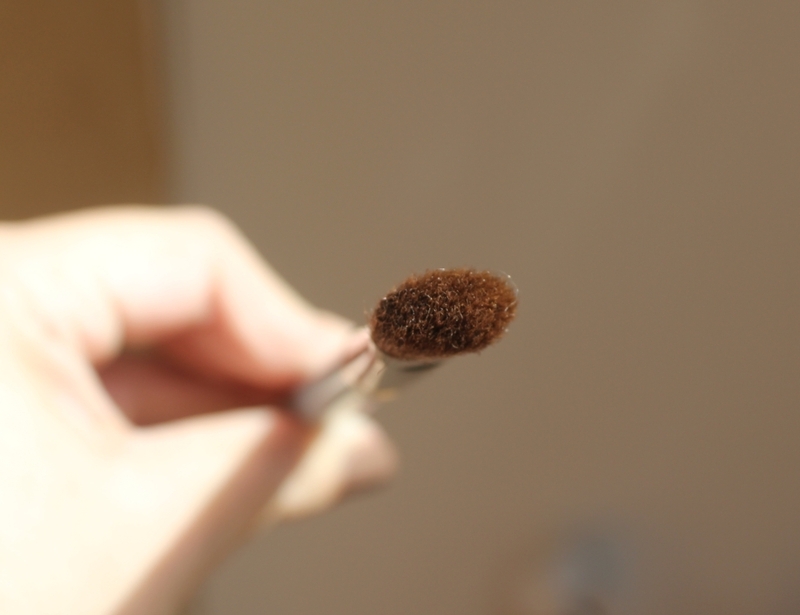 It's not so much an all-over lid brush, but can still perform this task with most eye shadow textures and is probably the best eye shadow brush I own (a full review to come). It's only a few dollars more than the Sue Devitt brush, so if you're considering only adding one brush to your collection this might be the one. 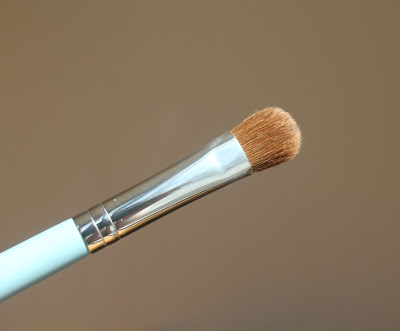 Paula Dorf Eye Glimmer brush (discontinued but still widely available) is close in size and shape but much denser and is only for packing color on the lid. 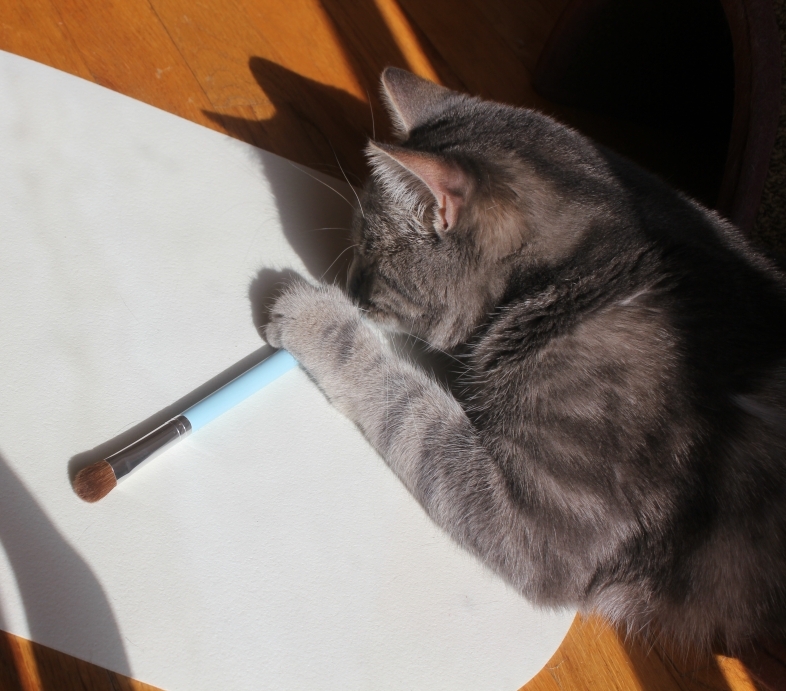 The Armani Shader Brush is narrower than Sue Devitt but just as thick. It's not soft enough for my liking but is still a good performer as a lay-down brush or an all-over lid brush for smaller eyes/lids. Sue Devitt Kolinsky Sable Eye Base Brush ($35) is available from Barneys, Dermstore and suedevittbeauty.com. All photos are mine with the help of Miss Josephine. Thanks for the great review and comparisons. I have been wanting to try Sue Devitt brushes for a while, but now my attention is turned to the Hakuhodo. I like the handle color (easy to find in a forest of brushes) and the brush shape looks nice.